StorDigital CDR introductory offer. Unbranded Cellwrapped discs in 100 pack. From a manufacturer of our choice. 100% Satisfaction guarantee. 100 52X shiny silver Unbranded CDR. Get a full refund if you are not completely satisfied. 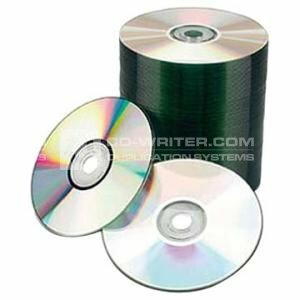 We have been selling CD media for over 10 years and use it for all of our internal testing and duplication purposes. We find it has the lowest failure rate and the highest compatibility of all media available at a similar price. The result of using the StorDigital CD-R with StorDigital Duplicators are outstanding and you will be astonished by the outcome of the burn quality. Authentic StorDigital discs are a low-cost duplication solution which are perfect for home, business and professional purposes and fantastic value for your money. Our workshops and duplication facility plays host to every known manufacturer and model of duplicator and we use StorDigital discs as a bench mark disc to ensure the correct operation of our duplication products. StorDigital . CDR . 52X . 80min . 100 . units . Systems .